The Houston Association of Realtors recently released new data regarding home sales in the region for May.While property transactions remained steady during the month, the figures compared to last year's activity are up significantly. In all, 35 percent more listings went under contract last month when compared to May 2010. This figure is obscured by last year's first-time homebuyer tax credit, however, as many home seekers pushed to meet the government's April 30, 2010 deadline.Overall, single-family home sales were down 11.9 percent in May, compared to May 2010. However, the total of these homes sold – 5,043 – was the highest monthly amount since June 2010, right after the tax credit had expired.”Getting an accurate read on the Houston real estate market remains challenging because the 2010 tax credit prompted a surge in home sales during the first half of last year that otherwise would have occurred throughout the summer,” said Carlos Bujosa, HAR chairman.Single-family home prices increased during the last 12 months as well, as May's average settled at $220,210 – 6.5 percent higher than May 2010. Single-family median home prices also increased, climbing to $157,900, which is 3.2 percent higher than the previous year.Houston's rental volume showed significant improvement yet again, as a greater number of new residents moved to the area and opted to avoid entering the lending process. Tighter mortgage regulations have hindered the real estate market, as more lenders are less willing to take chances on borrowers they've deemed risky.Foreclosure sales were down 3 percent during the month, compared to May 2010. In all, distressed property transactions represented 19.8 percent of all home sales, which is down from 22 percent in April and 23.5 percent in March. 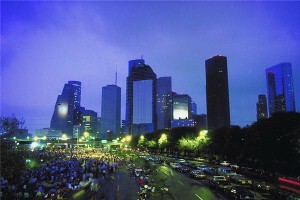 The median price for foreclosure sales in May settled at $79,000, which is down 11.2 percent from May 2010.Active listings for Houston properties were up 0.9 percent from May 2010, as 51,652 became available. The total number of available single-family homes grew to eight months worth of inventory, which is up from 6.8 months from the previous year. Nationally, 9.2 months worth of homes are available, according to the National Association of Realtors.Courtesy of 2M Realty News?